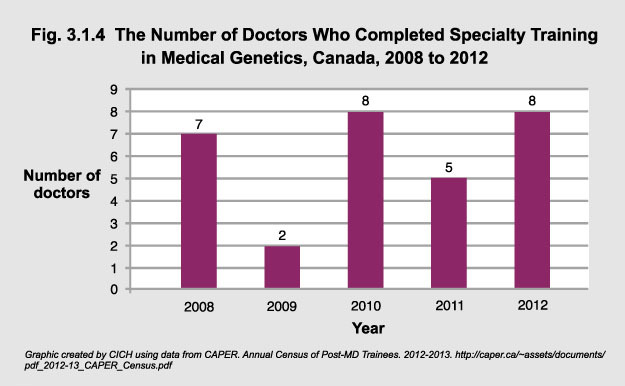 A small number of doctors receive specialty training in medical genetics each year in Canada. Between 2008 and 2012 (inclusive) 30 doctors completed specialty training in medical genetics. The number of doctors who completed this training per year varied from 2 to 8.